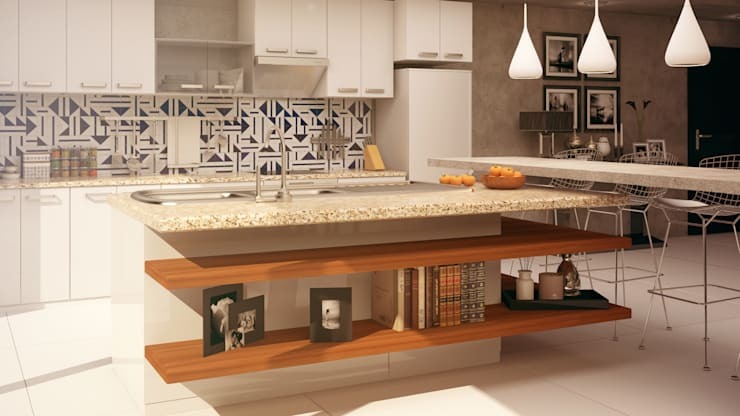 Forget cabinets and appliances for one moment and think about what else your kitchen is in dire need of and you'll realise just how vital shelving is! Ask any kitchen planner and they'll tell you that having access to aesthetically-pleasing and effective shelving is key to being able to enjoy a fully functional and practical space, which is why we think it's important that we show you a selection of some of the best styles out there, in case you need to up your shelf game! Prepare to be overwhelmed by the choices available, but be sure to choose something that will look great with your wider aesthetic! 1. Specifically designed for an appliance. Shelving that has been crafted for a very specific purpose can be so handy, especially in your kitchen. 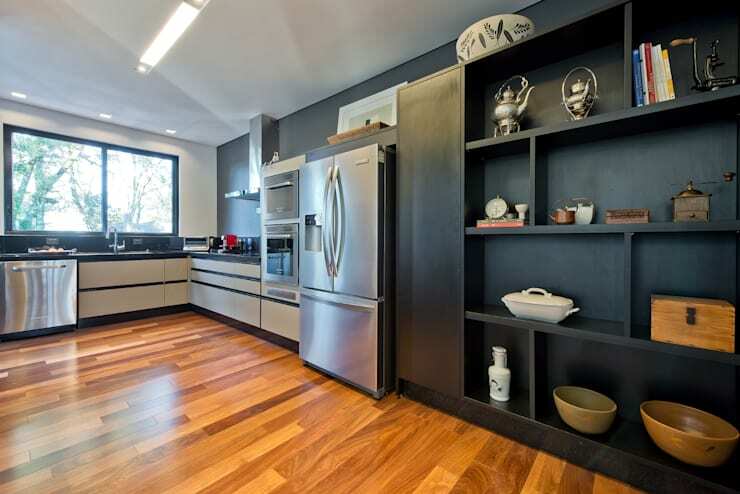 If you want to maintain clear surfaces, you need to think about employing appliance shelving. 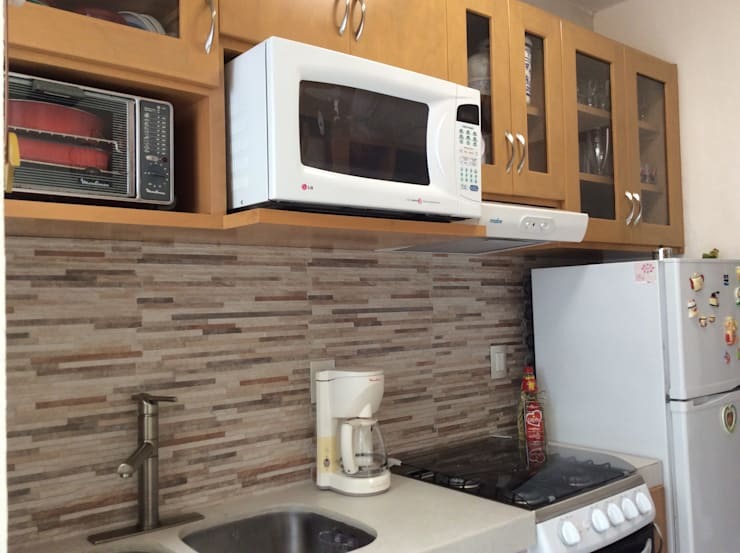 This microwave shelf is a genius way to keep a handy appliance close by, but not in the way. 2. Open front and fantastic. Wooden shelving is great, especially if you don't bother with any doors an stick to a more industrial look. 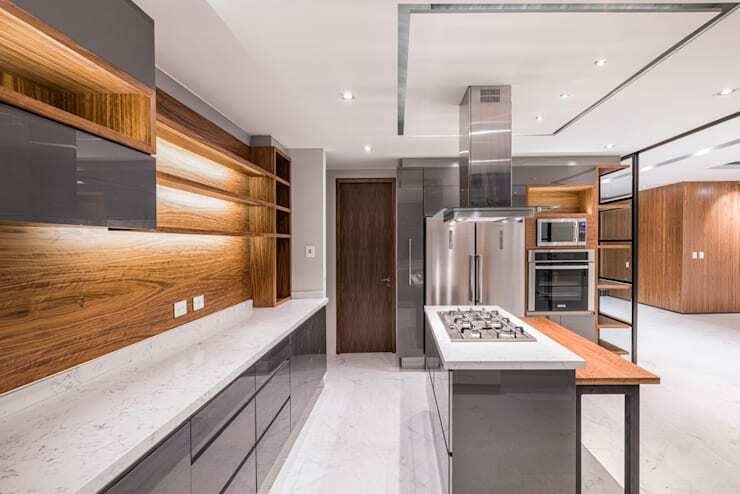 Here, you can see that the grain of the wood really shines though and matches the lower cabinets so perfectly. Regardless of what style of shelving you have, you can make it exponentially better if you add some stylish strip lighting to it! 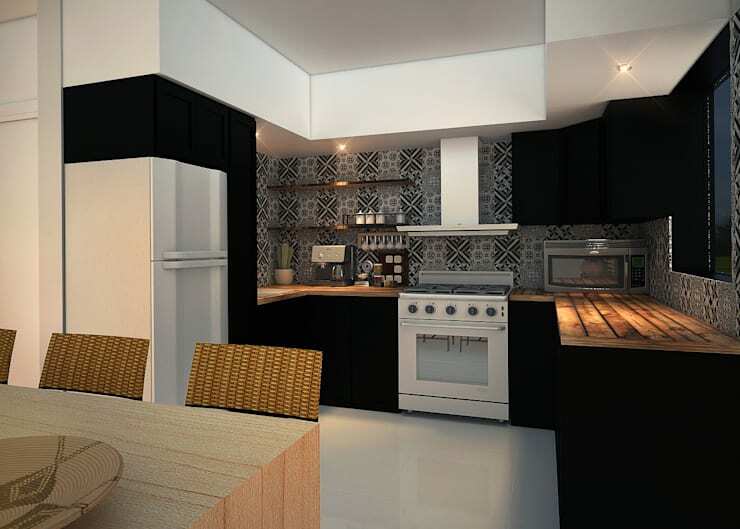 It's not only a gorgeous aesthetic touch though, as it will offer fantastic task lighting potential as well. 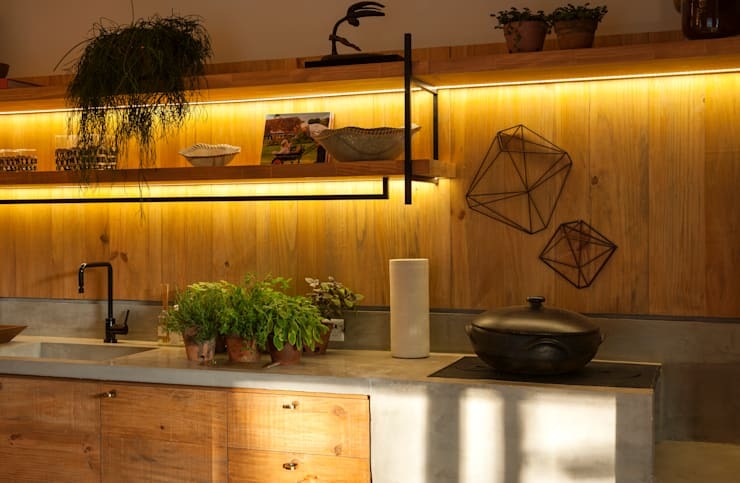 There's nothing wrong with taking a more simplistic approach to kitchen shelving and we just know that you'll really like the idea of bracket-free floating shelves. Just remember to check the weight limits though, before you start stacking your Le Creuset on them. Here's a great alternative to wooden floating shelves; stainless steel! Not only will the steel give a more industrial look and create a beautiful reflective surface, it might even be a little stronger too. Brilliant! Blink and you could miss these charming skinny wood shelves, as even the support brackets are super slim and delicate. 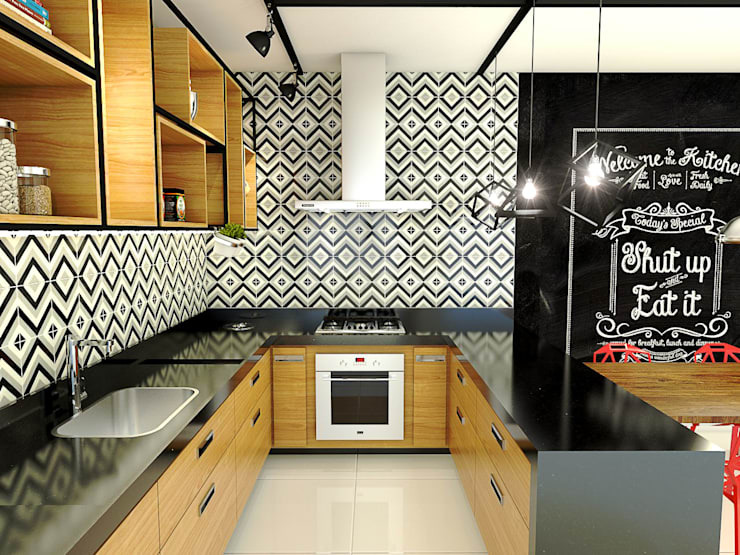 The mix of natural wood with black metal brackets look s really beautiful and would work well in any style of kitchen. Your kitchen island could be so much more useful than you know! 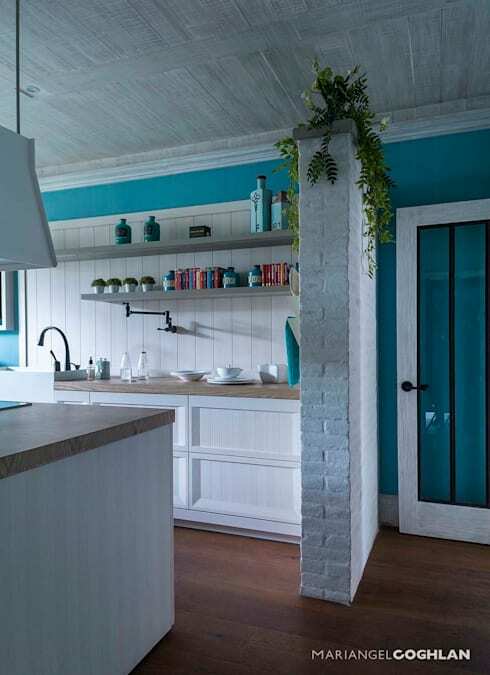 Adding striking wraparound shelving to your island will give you a great spot for stashing numerous cookery books and even place settings and crockery as well. These shelves look so great because they are colour matched to the walls and seem to continue on from the main kitchen. Large, open shelving caters to a wide variety of items, from recipe books through to good crockery and it just looks so neat! 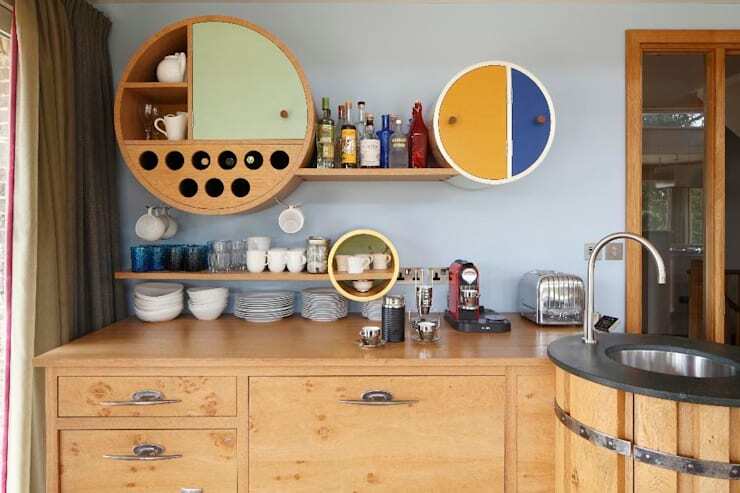 If you want to combine your shelving and cupboards, you go for it! There's no rule that says long shelves can't meet handy cupboards and vice versa, and actually, we think they are a great innovation, as you get all the benefits of a myriad of different storage options. Last, but not least, we've come to a more unusual and funky style of shelving! If you pride yourself on always finding quirky design accents, then you have to look into shaped shelving, like these circular varieties. We bet none of your friends would have the same ones! For more kitchen inspiration, take a look at this Ideabook: 7 multifunctional counters perfect for every kitchen. 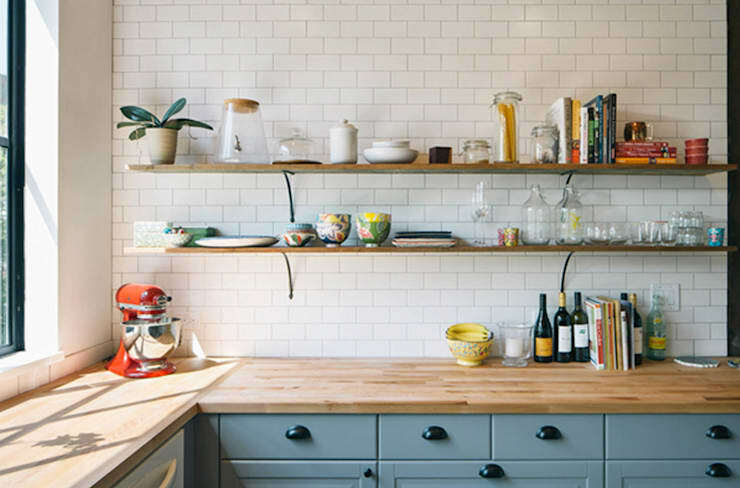 Which of these shelving styles would work well in your kitchen?